Overshadowed by the big Mega Man Legends 3 unveiling, NeoWiz opened up an official blog for Rockman Online. 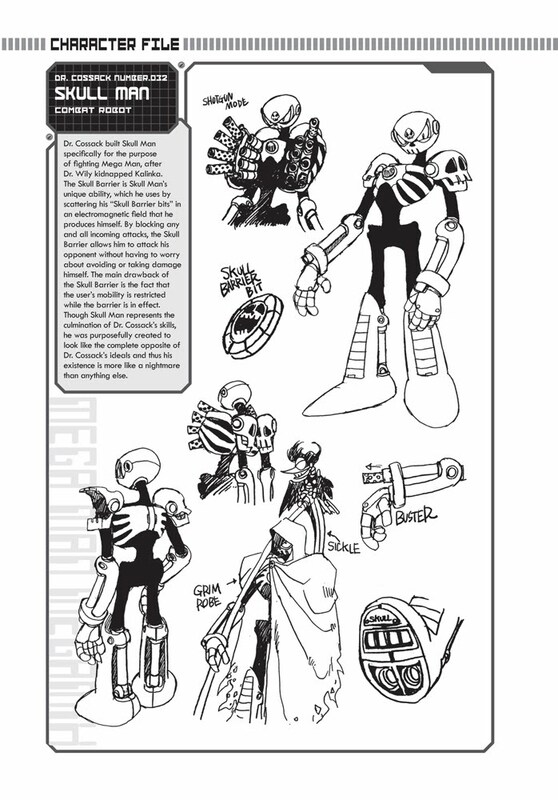 Scant on gameplay specifics or release date info, the page did however reveal some interesting info about playable character classes with a handful of new artwork thrown into the mix, too. You can read up on all of that here but today we're taking a quick look at the game's plot. According to the blog (with a translation and summary provided by reader KidWillow), Rockman Online takes place in the far future. 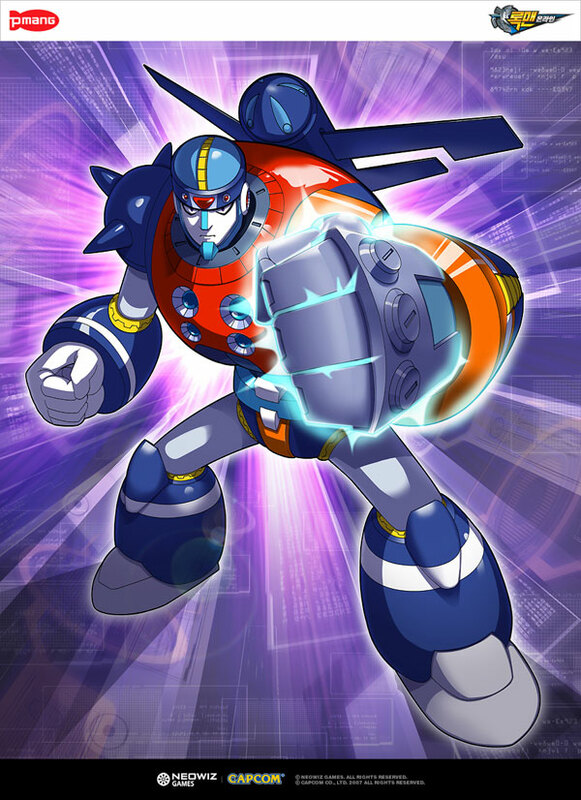 Rockman X, Zero, and the rest of the X series cast have long died off; so too, has the looming threat of the Sigma Virus and its product, the Irregulars (Mavericks). Believing the threat of Irregulars are gone for good, society is taken by surprise one day when a large number of Irregulars began to wreak havoc out of the blue. In response, the UCA (The United Continent Association), initiates the production of copies of X, Zero and Duo, among other heroes, to combat the rampant Irregulars. The UCA went so far as to embed the DNA Souls of the original heroes onto a chip housed within the copy bodies to further enhance their abilities in an effort to make them as legitimate as possible. The Irregulars associated with Rockman Online are actually rebuilt and heavily customized versions of Robot Masters and Irregulars from the past, produced in a similar manner to the X, Zero and Duo copies. Coupling the above info with the other day's report, we can assume these Irregulars will go on to form the basis of the URA organization (The Ultimate Reploid Association). The URA is at constant war with the UCA with battles waging on the small to large, global scale. What isn't known at this point is just how Dr. Light and Dr. Wily returned. Artwork on the game's blog depicts the characters associated with the UCA/URA respectively, leading to the assumption that each doctor spearhead's their respective organization. Their depiction could also be looked upon as a sort of visual representation of "good vs. evil" but we don't know for sure. Nevertheless, it's a fairly interesting plot. I doubt it's canon but hey, I'm not Capcom. More RMO details are expected to come from the blog so check back every now and then. The figure placed 5th in Bandai's poll for character-based figures consumers would like to see. As such, this doesn't necessarily mean the figure will be mass produced and sold -- that reward would go to first place. Even so, according to a tip sent to The Mega Man Network, it's highly unlikely Bandia would go to all that the trouble to produce this prototype just for show and not release it. Nevertheless the X prototype, and the other runner ups, will be on display this weekend at the Tamashi Nation event at Akihabara Akiba Square UDX2F in Japan. If you're in the area, you might want get a good look at X while you can; we may not this figure again! "MEGA MAN LEGENDS 3 PROJECT KICKS OFF!! "Mega Man Legends 3 Project has just been announced at the Nintendo Conference 2010 in Japan for the Nintendo 3DS! While we can’t get into too many details, we can say that fans will have an opportunity to be part of the development process like never before as they interact directly with the team! How exactly? You'll have to stay tuned for more news at New York Comic Con!" 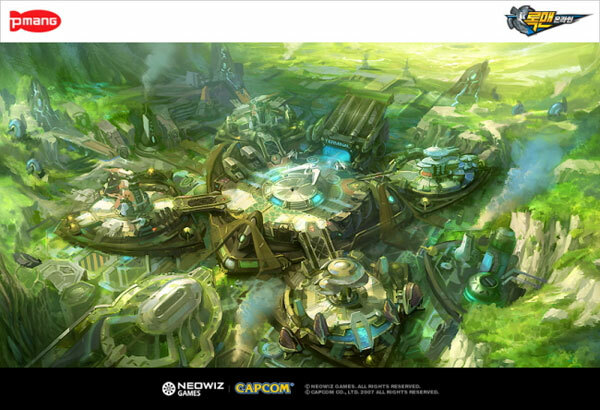 Capcom and NeoWiz have launched an official website for Rockman Online. The website will provide up to date info on the game. Pretty bare right now, but do check it out for some nice artwork. Oh, and Legends 3 was announced. UPDATE: Now that the MML3 excitment has cooled down a bit, I can get to talking about this. Thanks to readers Kevin and RockX, here's a couple details about the game coming from the website. There are three types of playable characters classes : X Type, Zero Type and Duo Type. All the details after the break! 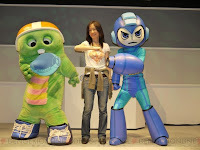 Inafune Promises To Make "That Game"
Keiji Inafune is no stranger to the blogosophere. The producer behind the Mega Man series occasionally discusses his feelings and thoughts over at his blog on Daletto. Today, he wrote up a rather lengthy post concerning his deep desire to make "that game." He doesn't specifically identify "that game", but it's safe to assume he's referring to the much demanded third entry in the Mega Man Legends series. If there's one thing I love about Udon is their policy to preserve original cover artwork during localization. 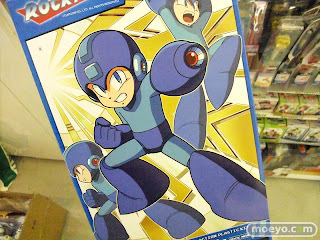 Such is the case with the Mega Man Star Force: Official Complete Works cover spotted over at Barnes & Noble. As you can see, the English translated version, set to release in December, will retain its original Japanese art in its entirety, much like previous OCW books. What remains to be seen is if Udon will follow the tradition of adding embossed imagery or holographics to the cover -- a practice done since Mega Man Zero: Official Complete Works. According to B&N, MMSF OCW will ship out on December 21 with a suggested retail price of $39.99, or roughly $26.99 if purchased from B&N. 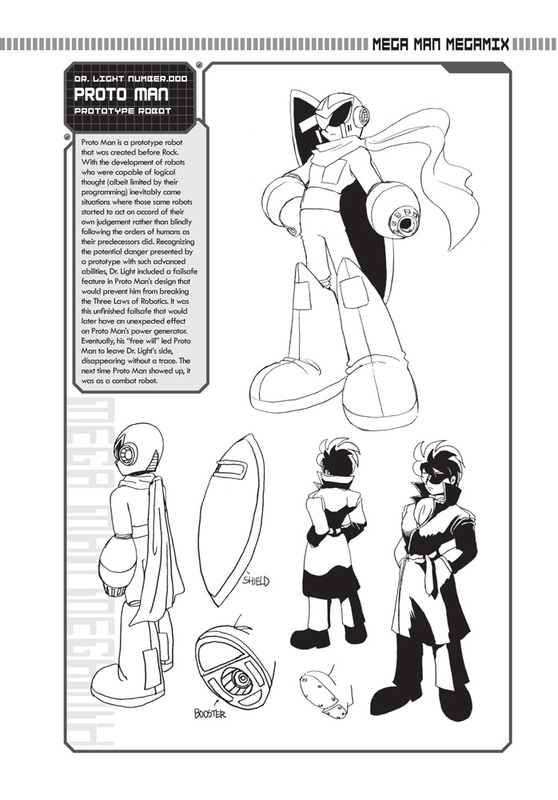 The 176 page book contains official and conceptual artwork from all three titles in the Star Force series and developer commentary dispersed throughout. Bear in mind, the release date is likely tentative as Udon themselves have yet to announce a date. 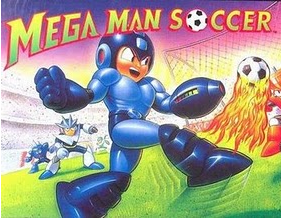 If you've ever completed Mega Man Soccer before, you'll notice how strangely abrupt the game ends. Whenever most video games are completed, you're usually met with the credits screen, displaying a list of every individual who contributed in said title's development. In Mega Man Soccer, however, this is not the case. There simply are no credits. Instead, successfully beating any one of the game's modes in its entirety boots the player back to the title screen. The identities of the game's developers shrouded in mystery. 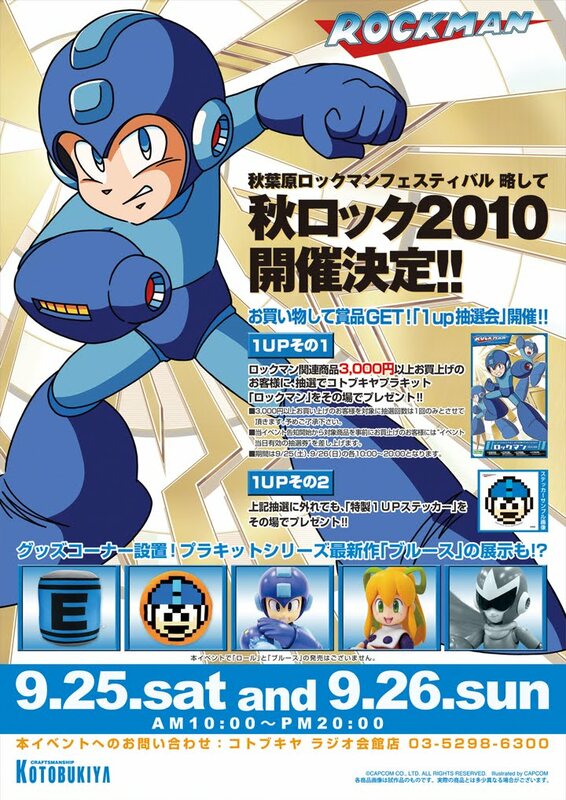 According to a press release put out by Capcom, Mega Man Universe will be one of the titles featured at the "World of Capcom 2010 and Beyond" panel at the New York Comic Con. The event kicks off on October 10 from 12:15 to 1:15 PM. The panel will play host to trailers and info for many upcoming Capcom games so it's fair to assume we'll be seeing and learning more about MMU. 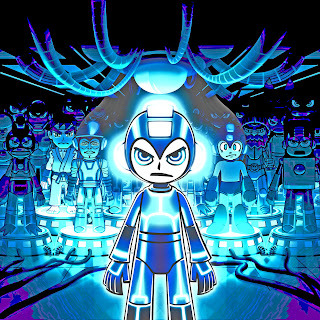 Also, bear in mind, the last Comic Con panel Capcom hosted is where Inafune announced the production of an 'of-requested' Mega Man game; perhaps we'll be hearing more about that there! Still no word if MMU will be playable on the showroom floor but I assume that bit of news is forthcoming. I'll keep you posted! Sony released a bevvy of Dead Rising 2 themed goodies on PlayStation Home today in anticipation for the game's release (September 28 for NA). 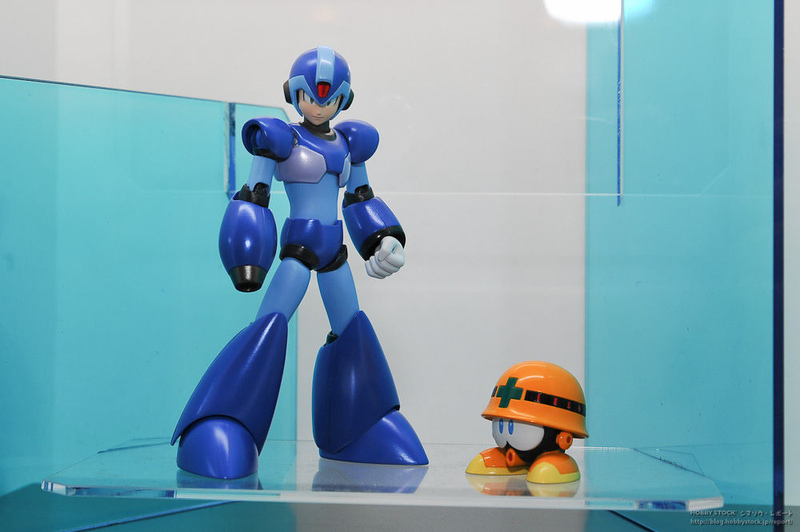 Included amidst the accessories and themes is the ever adorable Servbot helmet, an iconic item found within both DR1 and DR2, whose likeness is based off of the little bots from Mega Man Legends. 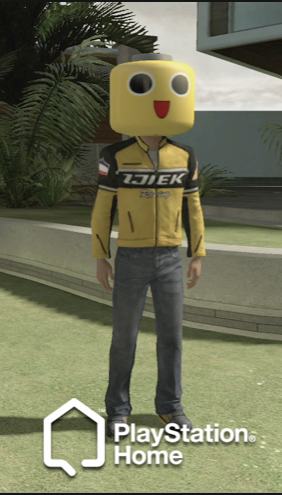 The helmet, and the rest of the DR2 goods, can be purchased directly from the PlayStation Home Mall. No price was detailed so you'll have to go and investigate it for yourselves. Let us know all the details if you can! Thanks for the tip, Huriccane Wolf. 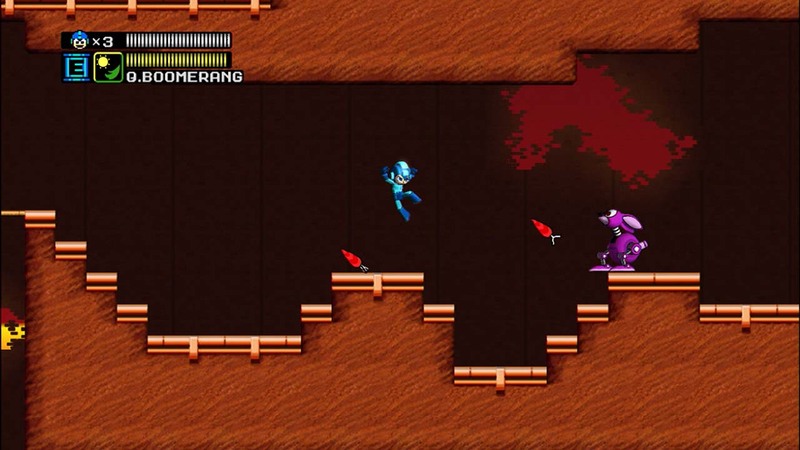 CutmanMike's multiplayer Doom mod Mega Man: 8-bit Deathmatch is still a ways away from release, but to keep you entertained till then, here's a video exhibition of every usable weapon the final game will have to offer. A detailed description of how each weapon works available here. A demo of the game is available for download via this link. This version contains includes four maps, five playable characters and ten weapons. Enjoy and look forward to the full game soon! If you happen to be in Japan this weekend, stop on by Kotobukiya's direct store in Akihabara and celebrate the release of the ever awesome 1/10 scale Rockman model. From September 25 through the 26th, the "Autumn Rockman Festival" will play host to a special lottery where customers can enter a drawing to win either a 1Up cushion, a giant E-Can pillow, or the grand prize, a Rockman model free of charge! There will be multiple chances to win throughout the weekend, too, so if luck's not on your side one hour, try again the next. The other big draw of the event is the first public unveiling of the upcoming 1/10 scale Blues model, which is scheduled for release in 2011. Blues was previously exhibited in poster form at last month's Chara Hobby but this time it'll be the model itself on display. Look forward to the inevitable photos! Lastly, everyone that shows up gets a 1Up sticker as proof of participation, regardless if you win something from the lottery or not. Kind of neat, I guess (reminds me of those "everyone's a winner" trophies from little league). Remember our enigmatic friend "The Shadow"? The self proclaimed inside source that leaked several accurate Mega Man 9 details prior to the game's official announcement? Well he's at it again, and this time he brings a very interesting bit of news that's sure to please many. 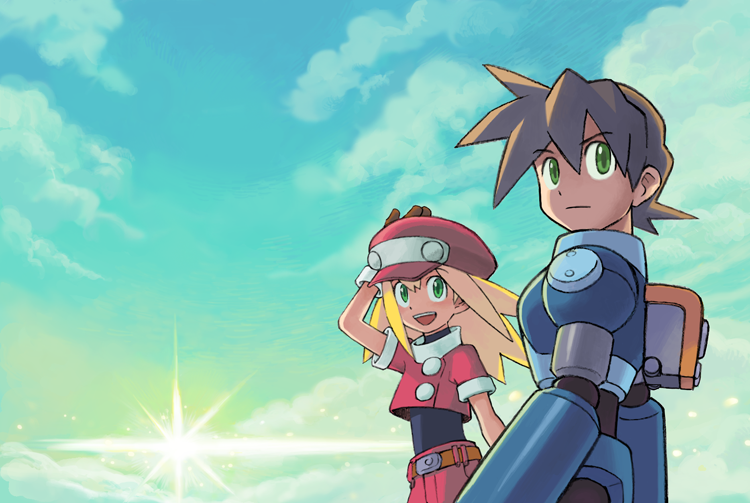 Hot on the heels of all that "fans will be happy soon" teasing by former Capcom staff member Hideki Kamiya, The Shadow sends word that a Mega Man Legends sequel is indeed currently in development at Capcom. The project is "very tight lipped" at the moment and as such, he cannot reveal further details at this time. However, official news on the project is expected to surface after Capcom shifts their focus away from Mega Man Universe. No time frame was disclosed. 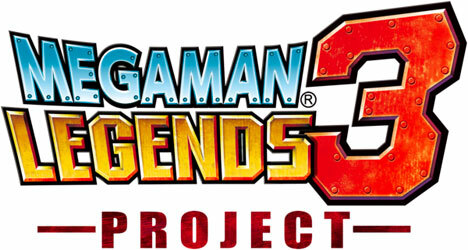 Further, The Shadow could not confirm if the title of the game is actually "Mega Man Legends 3" because the project has no working name at this point. Nevertheless, it is considered to be the next entry in the series. Despite The Shadow's track record, it's best to take this with a grain of salt. "Hope for the best, expect the worst", as they say. I'll be keeping you posted on any new developments should they arise. Update: Many are requesting a source. The source is The Shadow himself. We've been in contact via e-mail for over a year and my curiosity about the Kamiya tweets got me thinking if he knew something. I shot him a message and a few hours later, we have the above tidbit. Mega Man 10 – Dynamic Theme Bundle [Online Game Code] – $5.99 – Purchase all three Dynamic Themes for Mega Man 10 with this Mega Dynamic Theme Pack. (Includes Dynamic Themes 1, 2 and 3). Important: Purchasing this bundle will not incur a credit to you for items that you already own. If you already own more than two items from this bundle, please consider buying the remaining items individually. Mega Man 10 – DLC Bundle [Online Game Code] – $4.99 – Purchase all five DLC items for Mega Man 10 with this Mega DLC Bundle. (Includes Endless Attack Mode, Bass Mode and Special Stages 1, 2 and 3). Important: Purchasing this bundle will not incur a credit to you for items that you already own. If you already own more than two items from this bundle, please consider buying the remaining items individually. 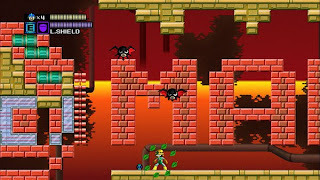 Mega Man 10 Sheep Avatar [Online Game Code] – $0.49 – Download this Mega Man 10 Sheep Avatar to add it to your PlayStation Network Online ID. 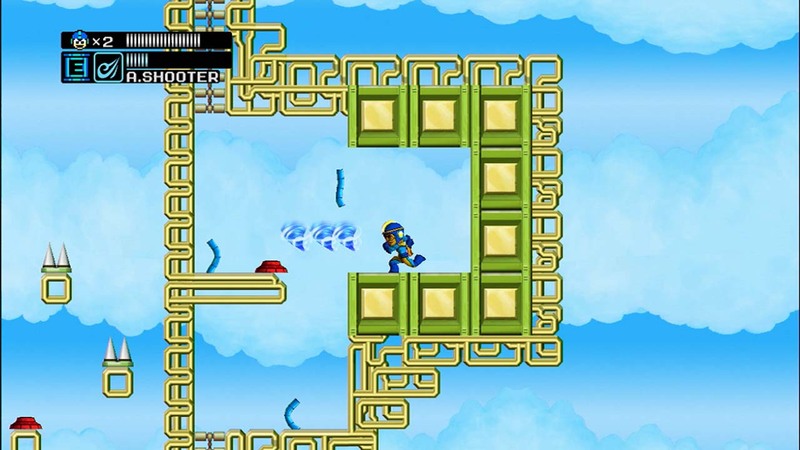 Mega Man 10 Commando Man Avatar [Online Game Code] – $0.49 – Download this Mega Man 10 Commando Man Avatar to add it to your PlayStation Network Online ID. Mega Man 10 Dr. Wily Avatar [Online Game Code] – $0.49 – Download this Mega Man 10 Dr. Wily Avatar to add it to your PlayStation Network Online ID. "If you're Dash fan, you'll be happy soon." "...you gotta believe Kawano san!" Sounds to me like Capcom is working on something Legends related with Yoshinori Kawano (director of MML1&2, Tron Bonne) being involved. Kamiya, though no longer associated with Capcom, was likely made aware of it from his meeting with Kawano -- thus ensuing the "If you're [a] Dash fan, you'll be happy soon" tweet. Of course, this is all so ambiguous it could turn out to be anything...or nothing. Nevertheless, couldn't hurt to speculate. "All I can tell is just wait!" and the second, a response to "No Dash 3 at all, huh?" Thanks to Jeff of MegaManX9 for the tip and GarboSan for the translation. It appears Mega Man Universe's playable cast won't be limited to just Capcom and Mega Man characters. 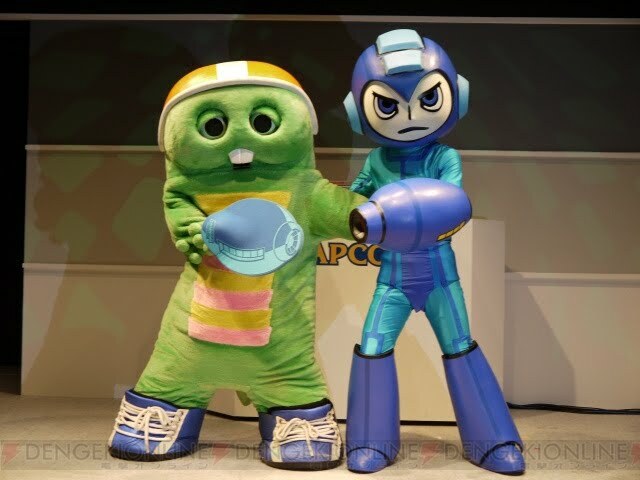 Announced during a special stage event at the Tokyo Game Show today, Gachapin, a popular children's television hero in Japan, is next in line to get Megafied. Gatchapin, dubbed 'Megapin' for the occasion, will be obtainable via a future DLC update. What's more, Megapin won't be the last collaborative character, it seems. Coinciding with his reveal, Capcom opened up a new section on their official Universe website called "Tie-ups", a space devoted solely to collaborative characters. The possibilities for other, non-Capcom characters could truly be endless. 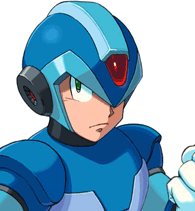 That said, what kind of non Mega Man/Capcom characters would you like to play as? "The base story and the base game is taken from Mega Man 2, so players can experience Mega Man 2 through this game." 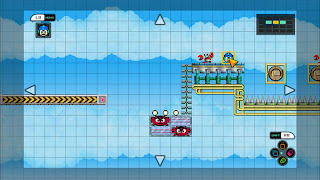 She explained that these "default" stages don't have to remain in their original form, as well: "Basically, we're going to create the stages from Mega Man 2 faithfully in this new style, and you can play them as is, or you can customize different sections of them, or you can customize all of it if you want to, so pretty much you can do whatever you'd like with the stages." 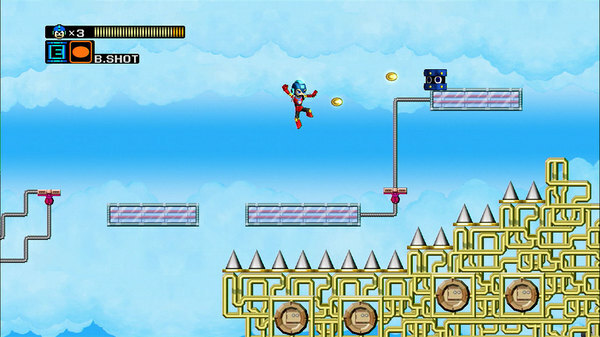 In short, Man Universe, at its core, is a revamped Mega Man 2. 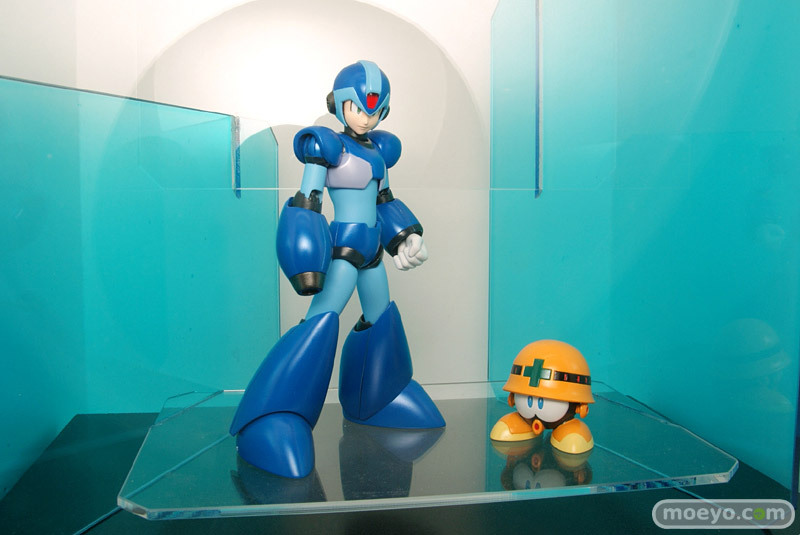 Some could even argue at this point to say MMU is Mega Man Powered Up 2. Of course, this doesn't mean all of MMU will be MM2 centric. Recall what we learned from PAX a few weeks ago: "Although the trailers made it seem like MMU is largely influenced by Mega Man 2, there's a 'very good possibility' we'll be seeing content from other Mega Man games." 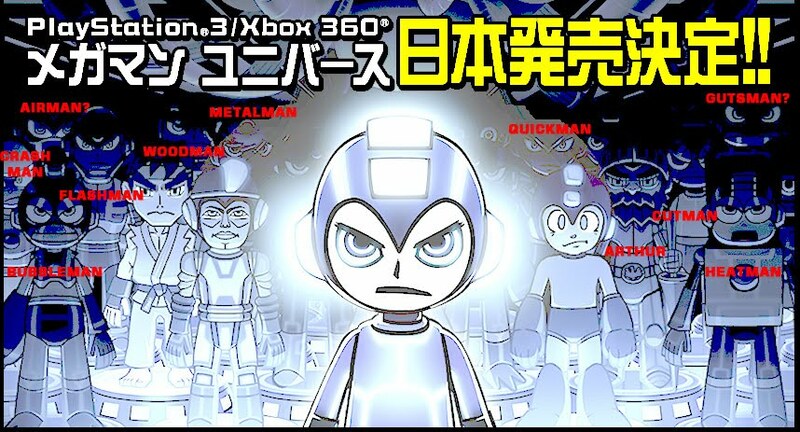 We've already spotted Cut Man amidst a MMU promo image, so this might yet still hold true. 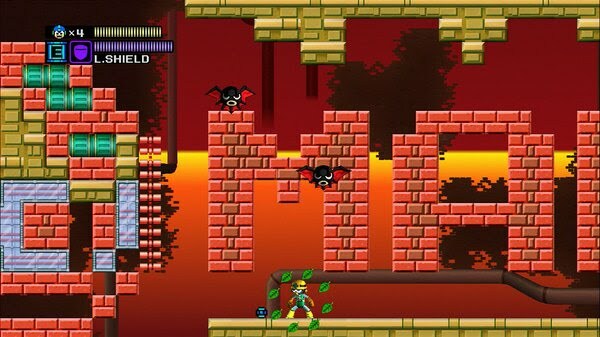 It's something to be hopeful for if your not sold on the idea of the game being based around MM2. Don't forget to check out GameSpot's Mega Man Universe page for more media. Thanks, John. UPDATE: Destructoid has conducted their own MMU interview with Capcom's Wes Phillips. Provides a nice overview of the game's contents with gameplay footage, some nice shots of the MMU booth and more. 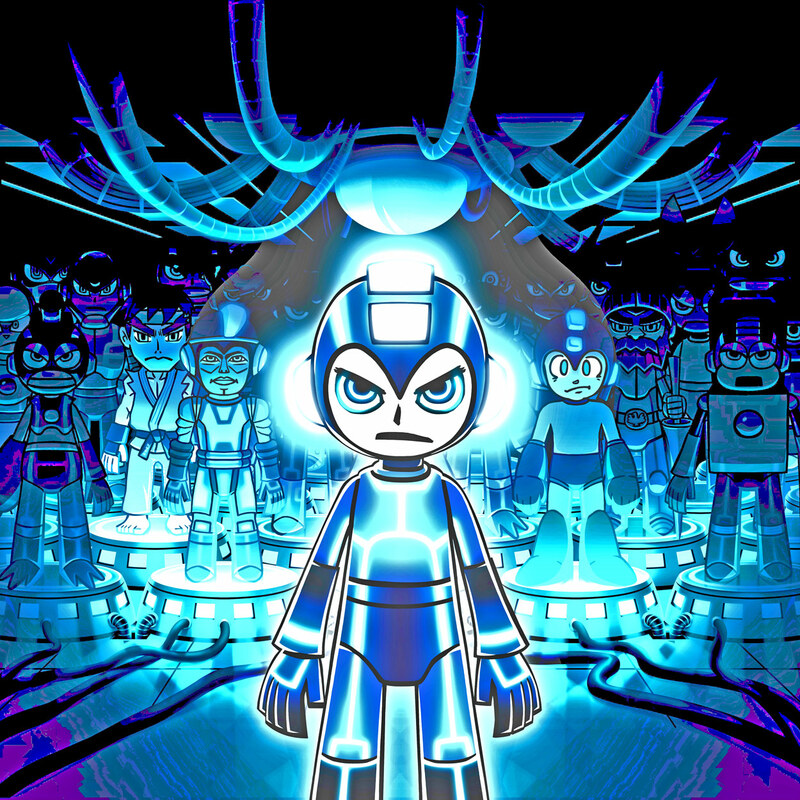 "[I] was told that the boss battles that have been a Mega Man staple for years will indeed return, though the Capcom representative I spoke with was hesitant to explain how it will work. From what I can gather, the robot masters will come around for the ride but there will be some surprises along the way." 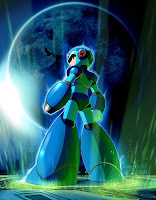 "..my concerns with Mega Man Universe at this point in time are the game's controls. If you remember the old days with Mega Man, you'll know that tapping the d-pad will make the Blue Bomber perform his epic shuffle to the side, which is great for sticky situations and tough jumps. But in Mega Man Universe, tapping the d-pad does nothing. It seems like Mega Man's movements are stiffer than they should be, but considering how early the game is right now, I'd say this issue is going to be addressed. I wouldn't worry too much about the controls -- this is, after all, a beta build of a game slated for a 2011 release. Capcom's got plenty of time to make the necessary adjustments. 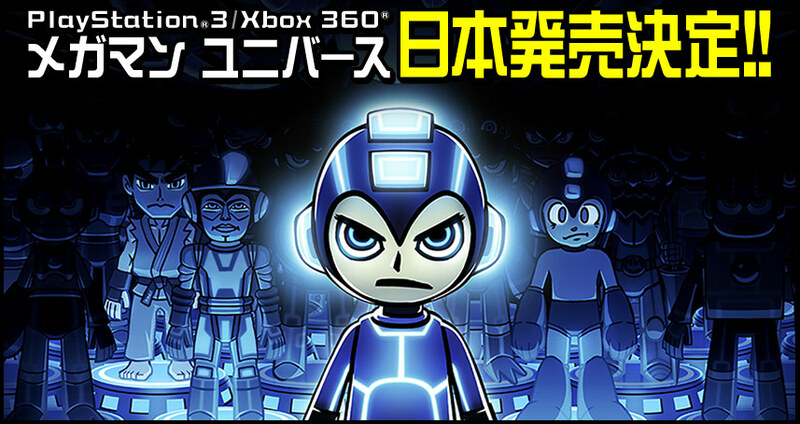 Any speculations as to what the Robot Master surprises will be? I've got a hunch that defeating a them would not only warrant their weapon but a set of parts, too, for us in character construction. Just my two cents, who knows. Anyway, you can read the full preview at IGN. Some footage of Tron going at it in Marvel vs. Capcom 3 recently surfaced, courtesy of Capcom Unity. Check it out below. UPDATE: Artwork! Click here to see Tron's official MvC3 portrait. 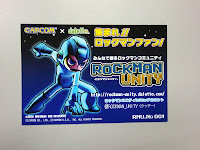 Straight from the 2010 Tokyo Game Show, some new Mega Man Universe footage for your viewing pleasure..
Keep checking back on this post throughout the night for more news from the show! 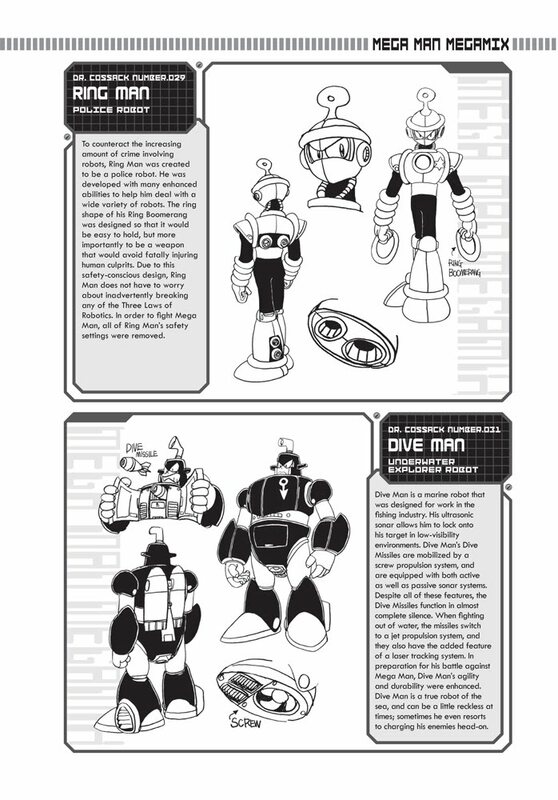 UPDATE 1: Here's an up close and personal look at the models for Angry Mega Man and Rockman. If you happen to play MMU this week, you'll get a chance to score one of these cards! 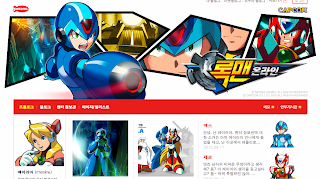 UPDATE 2: Capcom has revamped both the Mega Man Universe website and the official "all series" Rockman website. The MMU page sports a new layout and sections that detail various gameplay elements, though nothing we don't already know. 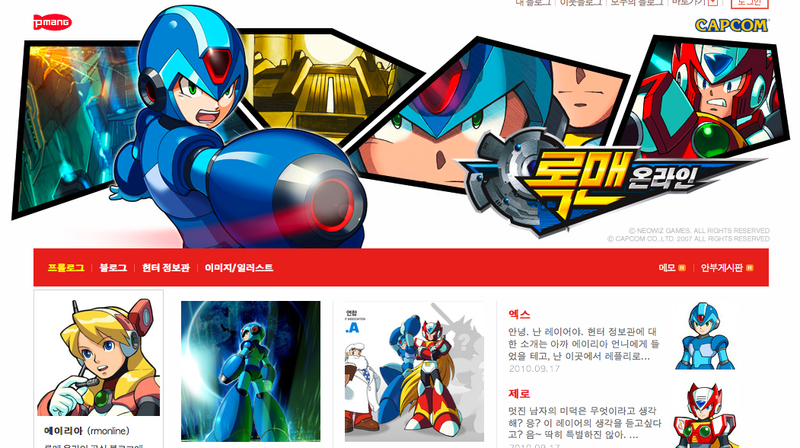 Capcom Japan's official Rockman webpage got a major face lift tonight, too. 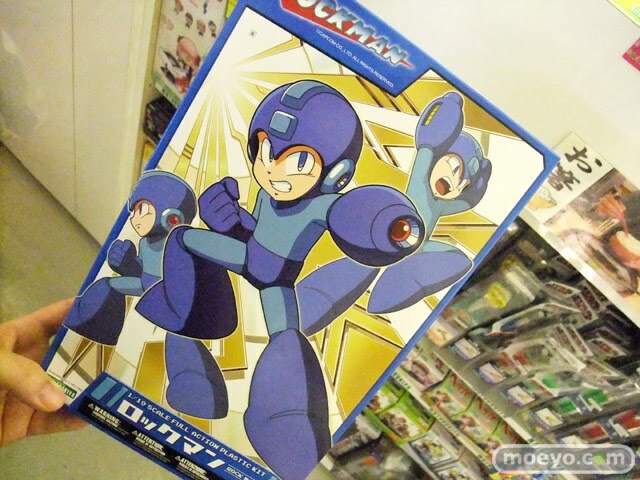 The site is broken down into several new areas: Goods Section: browse boatloads of Rockman products. 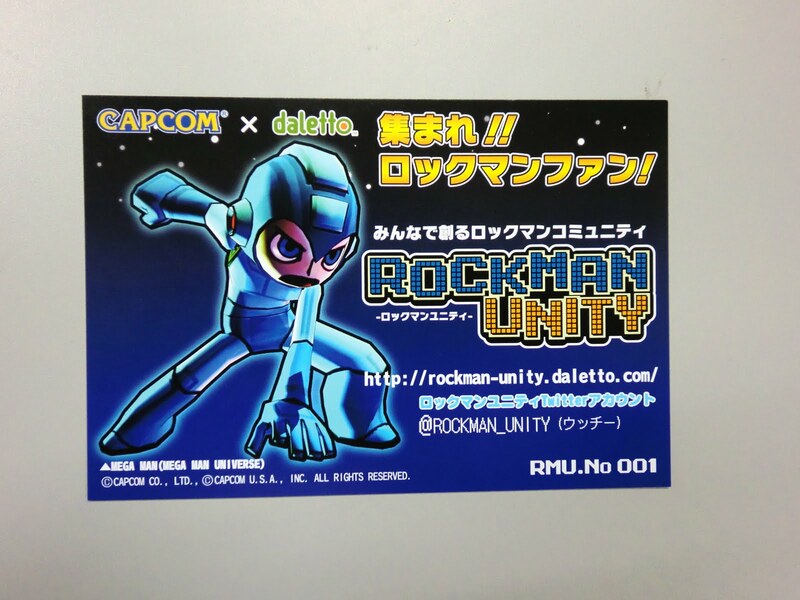 Events Section: News on upcoming Rockman-related events goes here. Mobile Section: Links to download mobile games, themes and such. Finally, Rockman History Section: View a comprehensive timeline showing all (major) Rockman games released since 1987. UPDATE 3: Footage of the Mega Man Universe booth. You can catch glimpses of MMU's title screen, difficult select and more! Probably the second biggest gaming expo this year (next to E3), Tokyo Game Show 2010 officially kicks off in a matter of hours in Japan. Despite no new Mega Man games being unveiled during today's pre-show, we're looking forward to what's in store Mega Man Universe-wise in that we'll be learning a lot more about the game. As previously reported, MMU is publicly playable on the showroom floor so in addition to official assets like screenshots and such, expect to see a lot of amateur shaky cam footage of the game in action. Another thing of interest to be on the watch for is the Mega Man Universe Special Stage show taking place on September 18. As with past stage shows, Capcom will use this opportunity to talk a little about the game and maybe demonstrate it for the press. I don't want to get anyone's hopes up, but if I'm not mistaken, a couple MM-related stage shows in the past did play host to a slew of announcements, new games included. As per usual, I will do my best to keep you covered with news as it hits. Admittedly, tomorrow is an extremely busy day IRL. 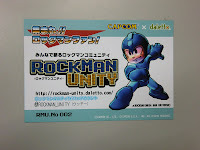 If you're wanting to stay up to date, keep an eye out on Capcom Unity and our friends over at The Mega Man Network, too! 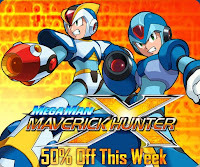 In addition to a slew of new avatars and DLC bundles, PlayStation Network is also offering Mega Man 9 and Maverick Hunter X at half off their regular price this week. 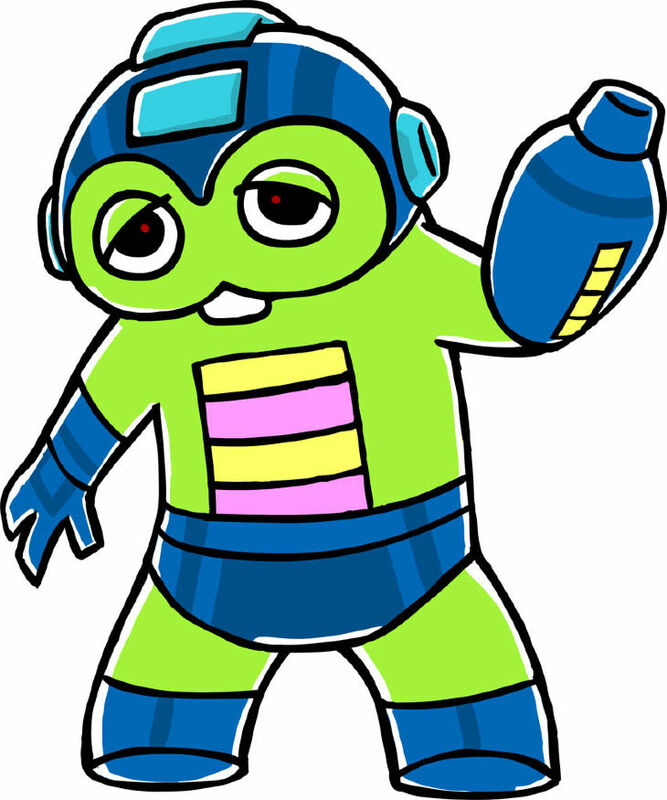 The deal is part of a three week celebration of TGS where Capcom is promising a slew of Mega Man deals throughout. Full details on this week's deal below. If you missed out on either Mega Man 9 or MHX, now is the chance to finally pick them up at a great price. 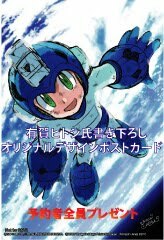 The third volume of Hitoshi Ariga's Rockman Gigamix series is due out in a mere two weeks in Japan (September 27), according to Tanomi -- a slight bump from the original Sept. 20 release. 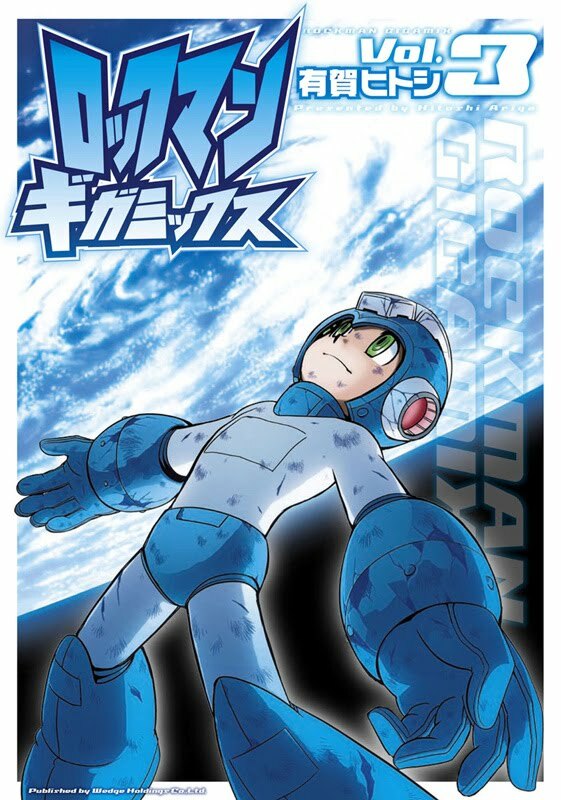 More importantly, the online store also posted the book's cover art, featuring a somewhat ominous scene of a battle damaged Rockman floating in space. No new details on volume 3's plot yet, unfortunately. It's anticipated the book will continue off where volume 2 left off which ended on a rather intense cliff hanger. For those interested, you can read a summary of volume 2's plot here. Tanomi is pricing the volume for ¥1,260 (roughly $15.04 US). As with past Gigamix volumes, customers who purchase from Tanomi will receive a limited edition postcard. Once again, Amazon has leaked details on some upcoming downloadable Mega Man goods coming to PlayStation Network, all of which are set to release this week on September 14. 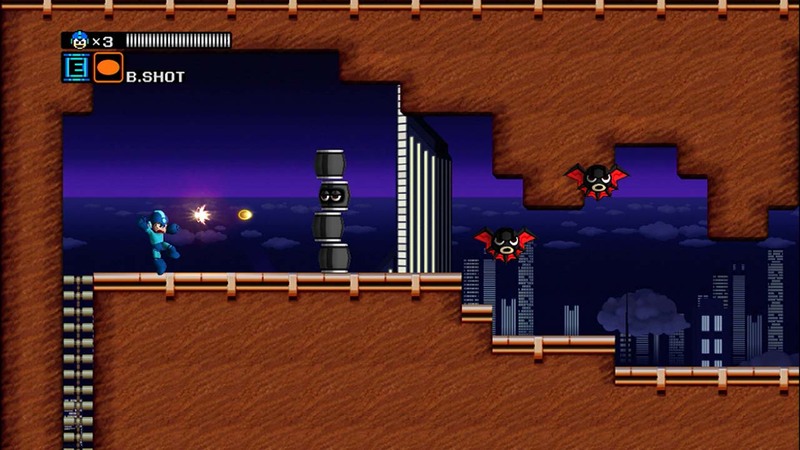 "Purchase all five DLC items for Mega Man 9 with this Mega DLC Bundle. (Includes Endless Attack Mode, Hero Mode, Superhero Mode, Proto Man Mode and the Special Stage). Important: Purchasing this bundle will not incur a credit to you for items that you already own." "Purchase all five Themes for Mega Man 9 with this Mega Theme Pack. (Includes Themes 1, 2, 3, 4 and 5)." The DLC bundles sure are interesting, so if you've yet to nab 'em all, why not do it in one fell swoop? All of this is supposedly hitting Sept. 14, so keep an eye out! "If you're looking to get custom Mega Man swag of any and all kinds, look no further. 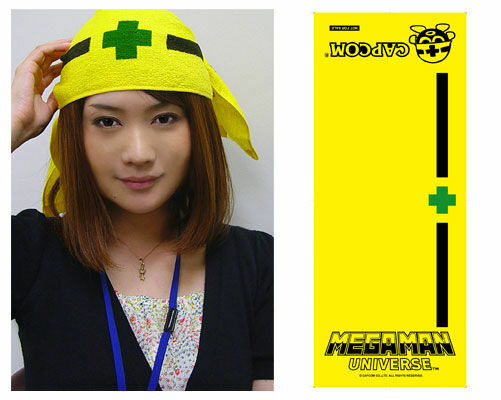 The Capcom Zazzle store has been updated with brand new Mega Man hotness! You can brand just about anything you want at Zazzle, from shirts, mugs, skateboards, and so much more. 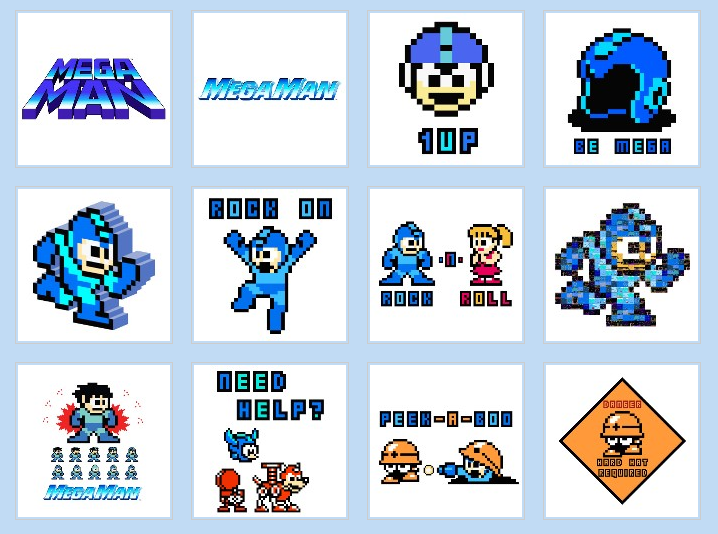 Put the Blue Bomber and many other Mega Man themed pieces of art on any custom swag you desire. " Sounds like something right up your alley? Head on over to the shop and see what they got! Personally, I'm really digging that 8-bit Abbey Road piece; love to have that on a coffee mug or something. Character Customization: In Mega Man Universe, you can create your own original Mega Man by assembling parts you like. Also, your abilities will change depending on the parts you choose. 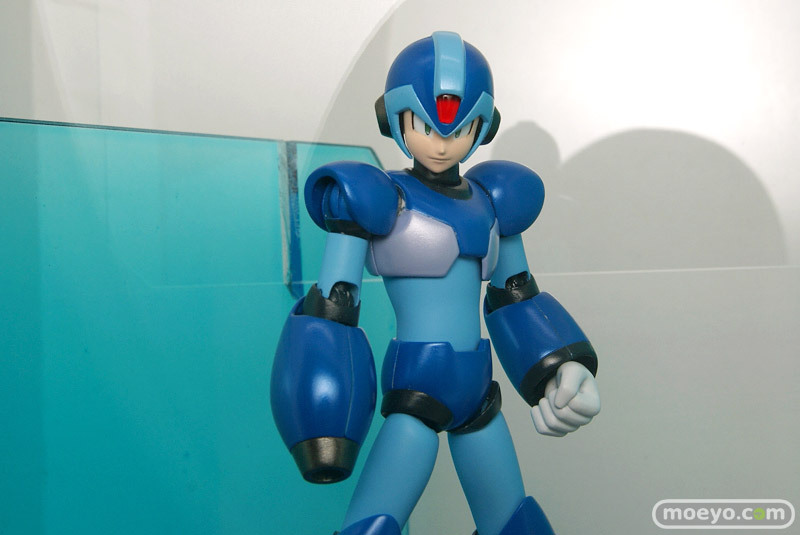 There are a wide variety of custom parts that allow you to create your original Mega Man! Stage Creation: Mega Man Universe not only allows you to customize your original Mega Man, but you can also create your own unique stages! You can play your own custom stages or play stages created by others. 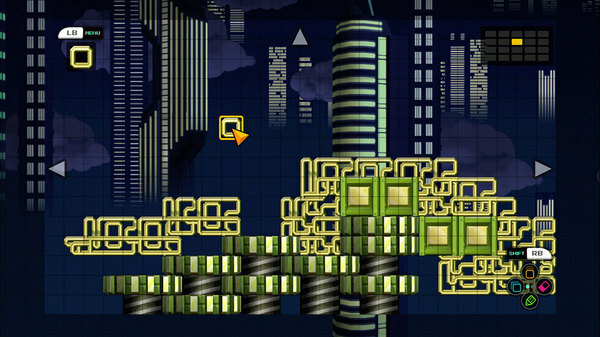 Aside from Mega Man themed stages, there are a variety of custom stage parts that will be revealed soon. I think we all saw this coming a mile away, but still nice to finally get the official confirmation. Mega Man Universe is starting to sound more and more like a spiritual successor to Mega Man Powered Up, at least in terms of stage customization. The game looks to offer a fairly similar experience with a more robust stage editor that not only sports a bigger play field but also notably ditched the limit gauge that plagued MMPU's stage editor. That's a major plus in my book. Look forward to more MMU details dropping next week during TGS beginning September 16th. 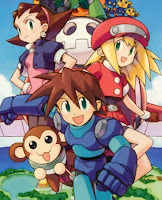 Some time ago, Mega Rock hacked apart the contents of the original Mega Man Star Force and succeeded in decrypting a number of graphic files; he was surprised to find the remains of polygonal models of Mega Man, Lan Hikari and a number of maps from Mega Man Battle Network 5. 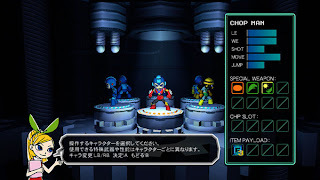 Turns out Mega Man Star Force was built on top of, what's largely assumed to be, a canned three-dimensional version of Battle Network 5: Double Team DS. Capcom and Neowiz rolled out two brand new illustrations for Rockman Online tonight; one touts the return of fan favorite character Duo (of Mega Man 8 fame), while the other unveils "Fortress Gaia", the area where most of RMO's gameplay will be carried out. Images and details below! According to a report put out by Stoo.com, Gaia is a large military facility that houses various areas where "battles will unfold." The base is said to contain stages set in a large forest and a city monorail, among other locations. What's more, the report also says Gaia will implement a differentiated play experience based on the player. In a nutshell, it sounds as if Gaia will act as the hub-world where players can meet up and embark on quests, taking place within stages. Educated guess right there, so don't take my word for it. As for Duo, the article doesn't say specifically if he's playable or not, merely he'll be making an appearance alongside other key characters. Duo was chosen to appear in the game because, like X and Zero, is very popular among fans. Unfortunately we're left with no new details on actual gameplay, again. With the introduction of Gaia, however, I think we're not too far away from that point. Stay tuned! Capcom tonight has confirmed that Mega Man Universe will be one of the many playable games on the Tokyo Game Show floor next week. This marks the first time the game will be playable by the public and for those who give the game a spin, you'll be presented with one of these cool 'Metowels' (pictured) -- a towel made to look like the hard hats worn by the ever popular Mettools. Pretty sweet, no? What's a gaming convention without some sort of nifty piece of Mega Man swag? As previously reported, we'll be learning a lot more about Mega Man Universe at TGS. Naturally, expect to see a plethora of related videos, screens and other media to surface throughout the big week. I'll be keeping a close eye out for all the goodies, and if you happen to be attending, be sure to send us some impressions of the game (video footage would be nice, too). Not a fan of MMU? Keep an eye out on Capcom Japan's TGS homepage where the company's lineup is ever changing with new titles -- who knows, perhaps we'll hear about Inafune's 'oft-requested' game. TGS coverage kicks off next week, September 16. Personally, I really like the MMU artwork. It's certainly a departure from what we're used to but it's pretty cool in its own right. 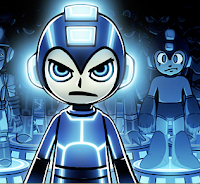 I dunno about you, but "Angry" Mega Man is starting to grow on me the more and more I look at him. Now, some of you have pointed out the books have slightly different release dates on Amazon -- Megamix on the 18th, ZX on the 21st. This is because, as with most Udon releases, online retailers get their shipments later than comic book stores. As such, both are guranteed to be in stock at comic shops tomorrow but the date is less precise for online stores. Thanks a bunch to Matt for keeping us in the loop! 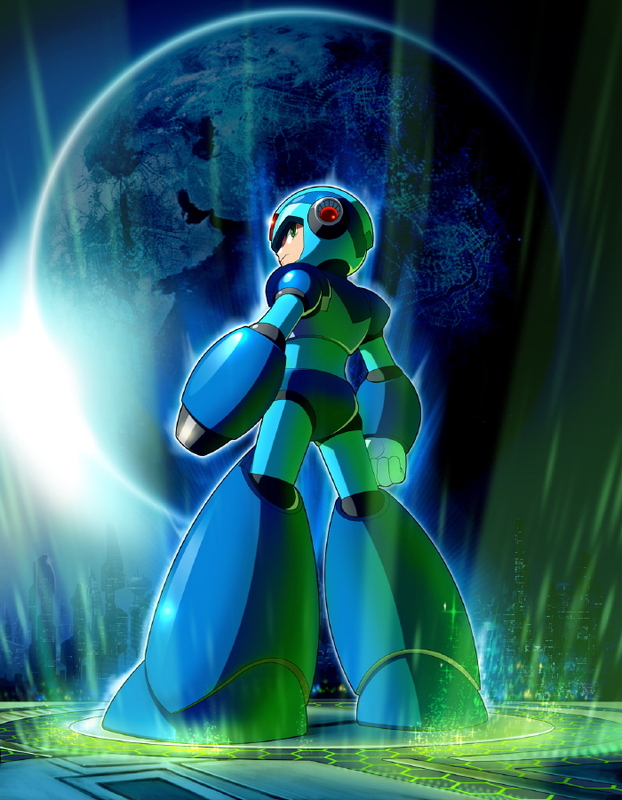 Overshadowed by the unveiling of Mega Man Universe, word has it that Mega Man X, one of the most highly requested characters for Marvel vs. Capcom 3, has been deconfirmed by none other than Capcom's Seth Killian. The news broke during a Capcom Unity live stream of PAX where Seth was on-hand to answer viewer questions. According to notes made over at Shoryuken, Seth went on to say that it was already too late to implement characters suggested in Unity's Suggestion Box into MvC3 -- this includes Mega Man X, Phoenix Wright and Gene -- because the roster had already been finalized by then. However, all is not entirely lost for X fans; rumor has it producer Ryota Niitsuma at one time confirmed the game will have an X series rep., and Seth even made a remark X fans will be happy with whoever it is. Who could it be? Speculation points to Zero, of course (who previously starred in Tatsunoko vs. Capcom), but you never know. Full story at Shoryuken. Thanks to everyone who sent this in! Featuring brand spanking new art! Bandai To Produce D-Arts Mega Man Figures? "The company receives numerous requests for figures, and according the staff page of Tamashii Nation, they are now in the process of trying to make these reality for the D-Arts figure line. Among the names listed as possibilities they're looking at are Mega Man, Samus Aran, Grid Man (or as US fans may remember him as Servo from Superhuman Samurai Syber Squad! 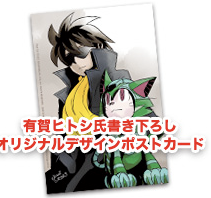 ), Kuro-chan from Cyborg Kuro-Chan and yes, Izanagi from Persona 4!" If you've seen Bandai's D-Arts figures before, then you know we're in for an extremely high quality product. D-Arts are supposedly made from the most durable BS and PVC materials around, which really ups the figure's detail and articulation. Sounds to me like Bandai is going to give Kotobukiya a run for their money. Full story at Tomopop. Thanks, Jim! Subtle implication that there's more than one type of play style; trailers only showed the "tip of the iceberg." Customization is a big part of the game. Capcom rep. strongly hinted at a stage editor of sorts. 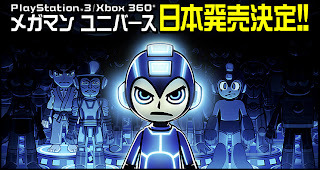 Ryu, as well as the three Mega Man variants, are confirmed as playable characters. Hints of a large roster of playable characters. 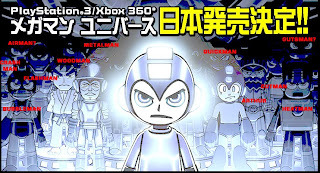 Not only do the three Mega Men differ in appearance (Mega Man, Bad Box Art Mega Man and Rockman), they each have their own play styles and abilities. 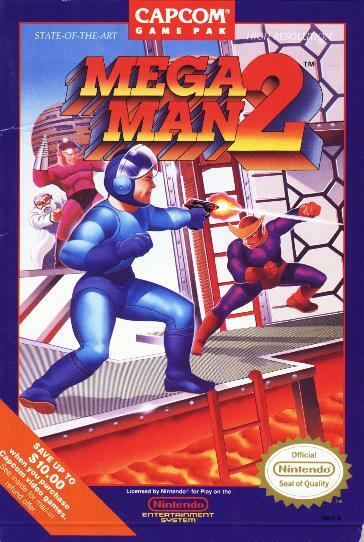 Bad Box Art Mega Man, for instance, can fire two shots at a time. 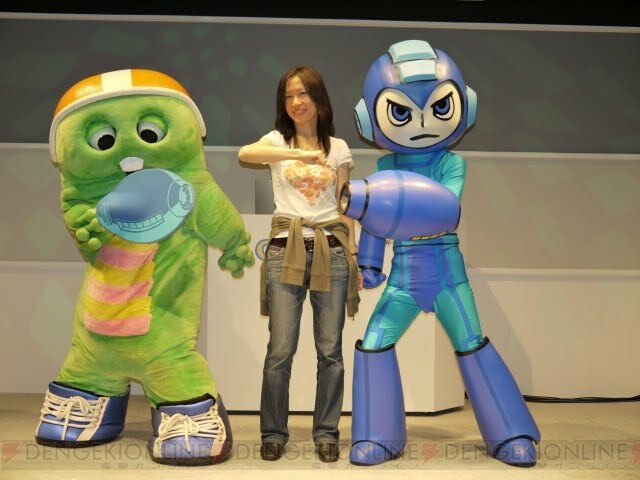 The "angry" Mega Man was designed by Takenori Kimoto. Why is he so angry? That's just Kimoto's style, apparently. Although the trailers made it seem like MMU is largely influenced by Mega Man 2, there's a "very good possibility" we'll be seeing content from other Mega Man games. Mega Man Universe not making it to Wii has to do with the file size limitations of Nintendo's WiiWare service. Capcom noted they would like to be able to support a Wii version, but couldn't at this time. Target release date of Spring 2011. "Everything we've shown will make more sense" come Tokyo Game Show, according to the rep. Interesting, to say the least. 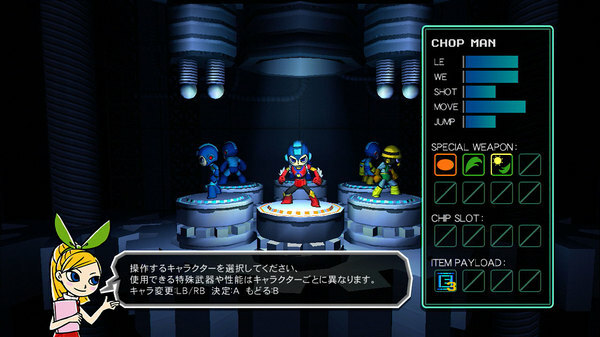 Stage customization seems to be a given based off of what we've seen so far, and if it's anything like that of Mega Man Powered Up, it's sure to be quite neat. 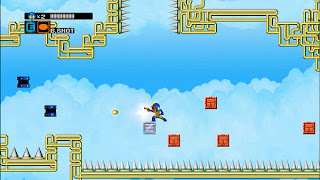 The tidbit about Mega Men having different play styles leads me to believe we might even be seeing someone like Mega Man X down the line, whose abilities will surely mix up the gameplay quite a bit (wall climbing, dashing, etc.). Can't say I'm surprised about the lack of Wii support but I'm curious if Capcom will consider the possibility of a disc release where file size shouldn't be too bad of a problem. Of course, that's only if they're really adamant on getting the game on the system. As stated above, we can expect a lot more details about the game to come from TGS, which is just around the corner -- two weeks from now. Coverage coming soon! 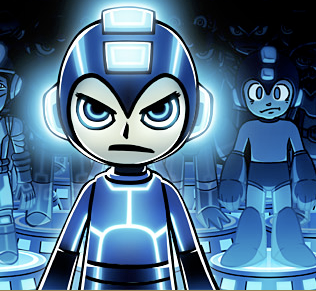 Full Mega Man Universe PAX info available at The Mega Man Network. More MMU stuff soon, hopefully. In the meantime, don't forget to have a gander at the newly released screens and artwork here. Hot on the heels of the three gameplay trailers, Capcom has released a few high-res screens and character artwork for Mega Man Universe, viewable below. Again, as PAX West rages on, expect more stuff to be released throughout the weekend. Stay tuned! 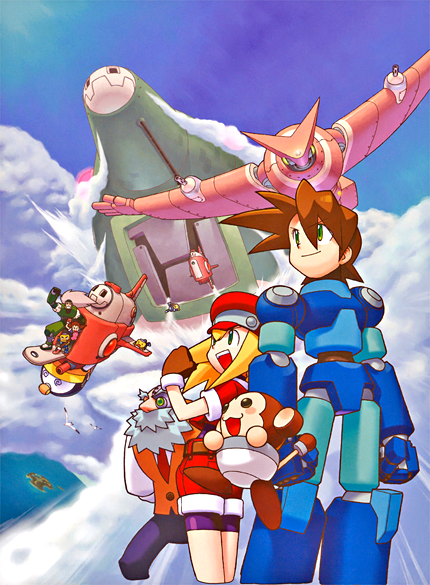 From the looks of it, MMU contains mostly Mega Man 2 Robot Masters and, tucked away behind Rockman, is Ghouls n' Ghosts' Arthur, one of the teased playable characters. Spot anyone not noted already? Let us know in the comments!